The Middle Tennessee defense was faced with an offense trying to convert on fourth down twice in under five minutes to go against Charlotte at Jerry Richardson Stadium on Saturday. After poor performances in recent games, defensive coordinator Tyrone Nix’s group stuffed both attempts, the second of which sealed a 38-31 win. Faced with a fourth-and-two from the three yard-line with just under five minutes left, the defense bowed their necks and stuffed a Robert Washington run giving the ball to MTSU deep in their own territory. Urzua, who had been playing well, forced an ill-advised pass which got picked off by Charlotte moments later. After an eight-yard touchdown pass from Hasaan Klugh to Workpeh Kufa, Charlotte converted on their two-point conversion to suddenly tie the ballgame up at 31-31. Within the next couple minutes, both teams would trade punts once more to give MTSU a second chance at having the last word. 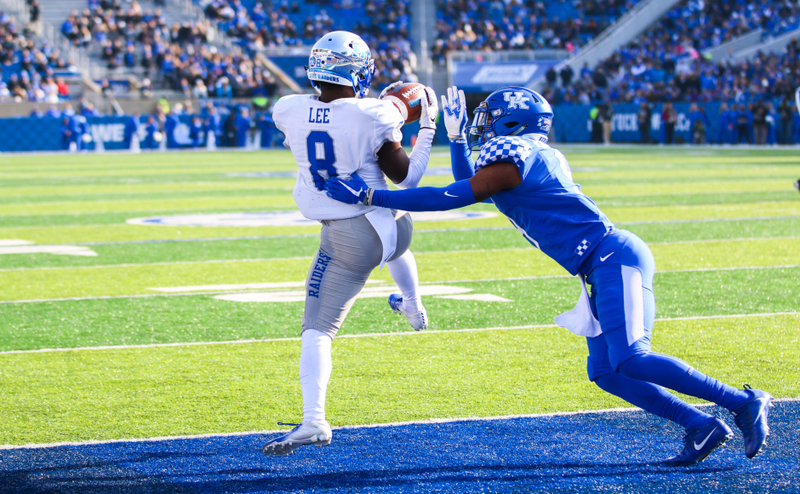 Freshman Ty Lee, known for his speed, took a routine handoff 61 yards untouched to the endzone to give the Blue Raiders the 38-31 advantage with 1:12 left. Charlotte tried to get something going late, but the defense was giving them all they could handle. Following a Steven Rhodes 10-yard sack, Klugh rolled out of the backfield looking desperately for an open receiver but he couldn’t find anything. 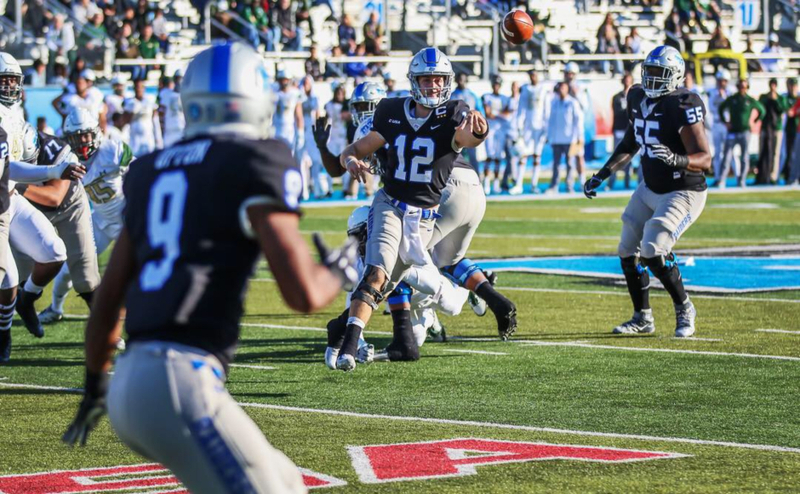 The quarterback’s pass sailed incomplete, giving MTSU its first victory in three weeks. Middle Tennessee jumped out to an early lead in the first drive of the game. Quarterback John Urzua hit wide receiver Ty Lee on a 5-yard pass in the end zone, capping off a quick nine play, 75-yard drive. 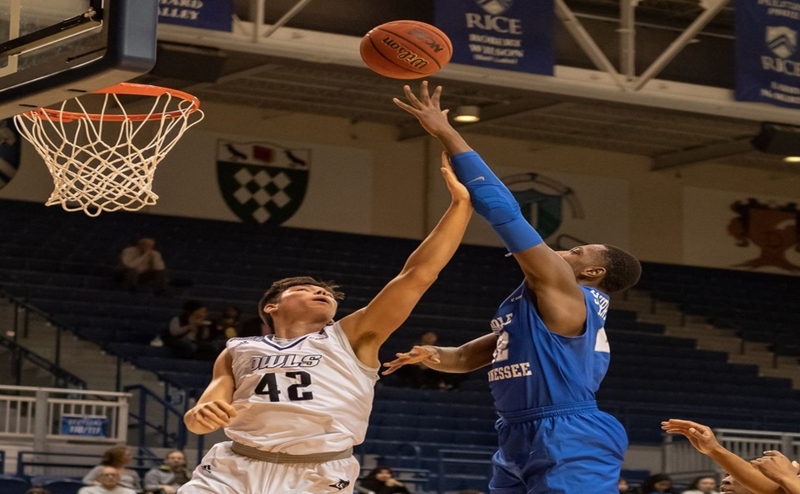 One drive later, standout Richie James did it with both his hands and legs. After a season-long 36-yard run, James capped off the possession with his tenth touchdown of the season on a 7-yard strike right over the middle. The eight play, 75-yard drive put MTSU up 14-0 less than 10 minutes into the game. On the ensuing Charlotte offensive drive, the 49ers were gaining ground, but kicked themselves in the foot with penalties which forced them to take a 49-yard field goal. The kick was good, but Charlotte was once again called for a penalty which backed them up farther to make it a 57-yard attempt with the wind behind them. 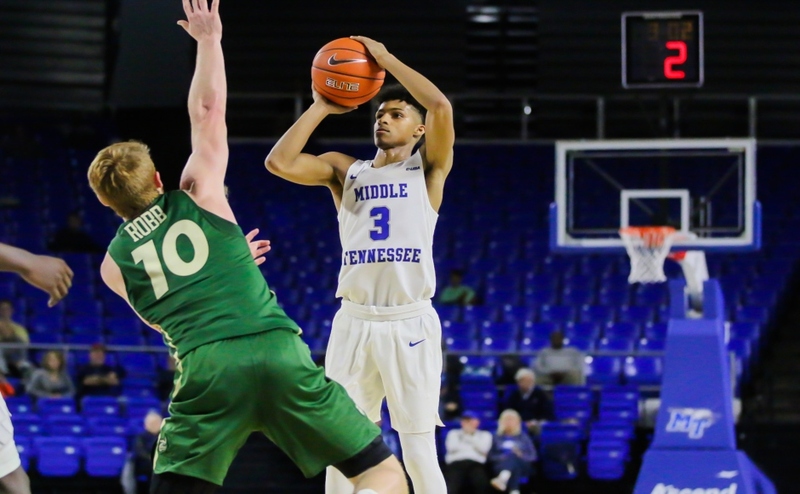 MTSU’s D.J. 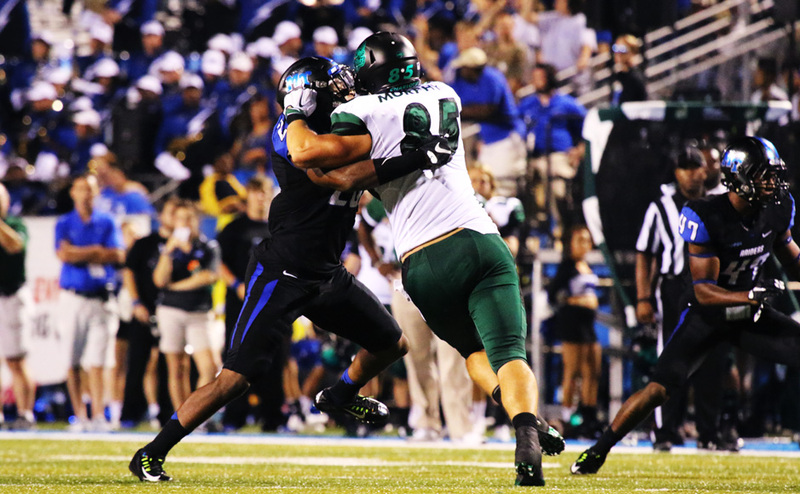 Sanders made a play and came away with a block on the kick which kept the Blue Raiders with a two-score lead. Charlotte would come back minutes later with a score as Klugh faked a handoff and ran it 16 yards untouched. Charlotte would miss the extra-point and would make the score 14-6. Returner Desmond Anderson took the kickoff moments later 88 yards to the house, but it was called back due to a holding penalty. One play later, Urzua threw an interception and set up the 49ers in prime position to score. Steven Rhodes and Deontay Evans would lead the charge in holding Charlotte on downs to give the ball right back the Blue Raiders. MTSU would capitalize as Mathers would have three consecutive rushes 10, 25, and 15 yards to get his team to the 49er 6-yard line. Urzua connected with Patrick Smith in the corner of the endzone to put the Blue Raiders up 21-6. The TD grab for Smith was his first since Sept. 10 against Vanderbilt. In the final minute before halftime, James hauled in a 45-yard pass from Urzua that gave his team a chance to further their lead. Canon Rooker knocked down a 41-yard attempt to make the score 24-6 after two quarters. The 49ers scored in their first possession of the second half in similar fashion of their first touchdown. Klugh dropped back for a pass, but instead kept the ball and took it the distance untouched for his second score, closing the gap 24-13. The teams would trade punts before the next score. Urzua kept his consistent play going as he guided his team 78 yards in seven plays, capping it off with another touchdown pass to Smith, this one from 14 yards out. Marshall would answer with a field goal to make it 31-16 and would continue their momentum in their next drive after a Matt Bonadies punt. Following a fourth-and-ten conversion, Klugh punched it in for his third score of the day and cut the deficit to a one score game, 31-23. Klugh had ran for five touchdowns coming into the day, but finished against the Blue Raiders with three. John Urzua finished the game with 250 yards and a career-high four touchdowns, two of which were caught by Patrick Smith. The two scoring grabs not only set his career-high for Smith, but they were his only catches of the day as well. Richie James finished with eight catches for 89 yards and one score, but also rushed for 61 yards on six carries. Ty Lee rushed for 68 yards on the day, 61 of which came on the go ahead score. He also hauled in 76 yards and a touchdown through the air. Linebacker Chris Melton led the team with ten total tackles while Daryll Randolph tallied nine. Steven Rhodes recorded four tackles, two of which were solo tackles for a loss. On the day, the defense batted down 10 batted passes. MTSU is back in action next Saturday when the team takes on Florida Atlantic University on Senior Day. Kickoff is set for 4:30 p.m. The 88th Academy Awards: Who will make history?